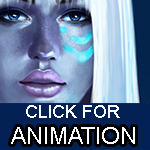 Everything is painted photoshop + painter and then animated in AE. All my work is copyrighted and may NOT be used without my written and expressed permission. Your works is very beaty and good draw. this is so creepy beautiful! What do you mean you fail at flash? I couldn't do this in 1000 years! Fantastic job! Absolutely mesmerizing. Just absolutely mesmerizing. You going into animation is a very big improvement, I am really looking forward seeing more! Really beautiful. I love the colors and the lighting. this is so cool!! great job on the animation and painting! 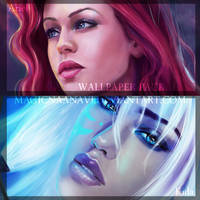 Nice...but reminded me of lady gaga more than Kida.